Before GPS, smartphones and even compasses, people have naturally navigated using the movement of celestial bodies like stars and the moon or found their way using the lay of the land. Natural navigation got our forebears out of pretty sticky situations and even led them to discover new lands or tirade routes for voyages. Unfortunately, natural navigation is a dying art. What with our modern conveniences, natural nav is slowly becoming a “thing of the past”. This shouldn’t stop any outdoorsman from learning this valuable skill, though. In the event that you somehow lose your way (and your gear), natural navigation techniques can help you get back on track. For as long as anyone can remember, the North Star or Polaris has been helping people from the Northern Hemisphere find the right direction. Originally called stella polaris, the star is located very close to the north celestial pole, so if you can find it, you can also find north and thus reorient yourself to the right direction. Finding your way using the North Star is considered one of the basics of celestial navigation. The video above gives you the low-down on how to spot Polaris, what constellations to look out for, and even touches base with the north celestial pole and why every star in the sky seems to revolve around Polaris. It’s a great way to jumpstart your natural navigation journey. Polaris isn’t the only star in the sky to help us find north. The sun— which is also a star, by the way—can help us find direction in a lot of ways. This video shows how to find an accurate line from north to south using nothing but a wristwatch and the sun. This involves laying your watch horizontally and pointing the watch’s hour hand directly towards the sun’s direction. Once you’ve done that, imagine a straight line between the hour hand and the 12-hour mark to create your north-south line, with north being the side pointing away from the sun. It’s a nifty trick that works great when you’re in the northern hemisphere and if your wrist watch is accurate. You can also recreate a standard clock face using some twigs for this method to work. A sun compass is another useful natural navigation method. The concept is pretty simple: the sun rises in the east and sets in the west. You can use these facts to create a “sun compass”, where you put a stick perpendicular to the ground and find your east and west points using the shadows the stick makes. It’s a simple but very useful trick that can help you find your way in a matter of minutes. It’s important to know that celestial navigation techniques can differ between the northern and southern hemispheres. This is because some stars or constellations visible in the northern hemisphere could be invisible when you go to the southern half. Case in point: Polaris. Since it’s too far north, it’s practically invisible to people living in the southern hemisphere. If you’re in the southern hemisphere and have somehow gotten lost, your best shot at finding north and getting un-lost would be to locate the Southern Cross constellation or Crux. This constellation has been used by early voyagers who ventured out to find new lands. The video above shows how to locate it using two nearby “pointer stars”. The sun and stars aren’t the only useful celestial bodies that you can use for navigation. The full moon and its movements across the sky can also be used to help you find your way, in the sense that the full moon basically travels the same path the sun does during the day. This method is quite limited as it only works once a month, when the moon is full and when the night is clear enough for you to see it. Still, it’s a great skill to have. You’ll never know when you’d need it. 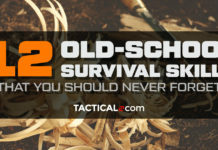 A lot of outdoorsmen will tell you that finding your way using trees is nothing but a survival myth. This video, however, dispels a part of that myth and proves that you can actually use trees to help you get your bearings. Like moon navigation, this technique is quite limited and is not the end-all, be-all of natural navigation. It does teach you how to be more in-tune with the environment and to read signs nature has laid out for you to find the right way. David Canterbury is a respected survivalist, author, and all-around badass outdoorsman…and if he starts talking about the 5 things you need to know about self-navigation, you listen. This video about self-navigation could present a steep learning curve for novices, but it’s great for outdoorsmen who want to take their navigation skills to the next level. It’s a good combination of knowing the lay of the land, getting your bearings and using the environment to your advantage. This instructional video will not only help you find your way in case you get lost, it basically equips you with the skills to prevent you from losing your way in the first place. Fewer and fewer people might be bothering to learn natural navigation, but that doesn’t mean that you should be one of them. Natural nav is and will always be useful in case of emergencies, or in the off chance you lose your navigation gear. Not only does it help you find your way back, it also lets you be less dependent on technology and allows you to be more in-tune with the environment. Natural nav may be old, but it’s still gold. Any other tips we missed? Let us know in the comments below!